But have you ever taken a close look? They so often feature really distinctive red AND green patterns. And using red and green watercolours together = brown. Right? I’d love to hear if you’ve struggled with this kind of subject before, or have your own tips for how to handle it. Do let me know in the comments. And please make sure you post any apples you do to social media using #AnnaMasonArt to inspire us. 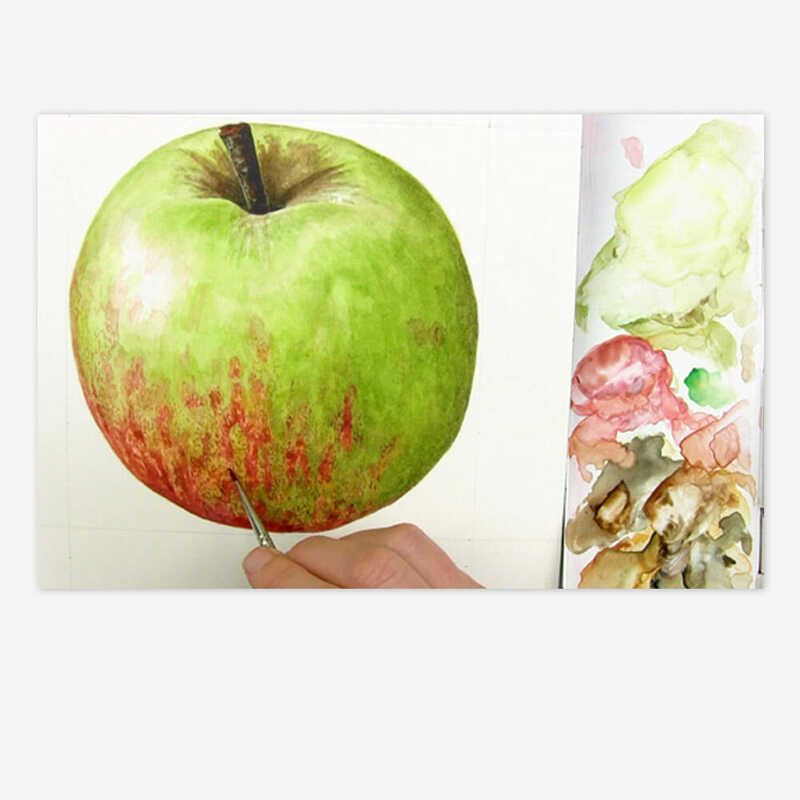 This apple is available as a step-by-step tutorial in my online School. Click here for more details about the School. Oh and see if you can spot my lovely dog Dexter in my video! I love the way you are able to keep the reds and greens separate. Thank you for those great tips! I’m a beginner and trying to learn. Kept these videos coming! Thank you, Anna. I love your bits of wisdom and technique! I always come away with new knowledge and appreciation of the art. Thank you so much for sharing. I really enjoyed the red and green apple video! Bringing in the yellow ocher, and being patient about letting things dry COMPLETELY really opened my eyes. I can’t wait to try this on my own now! Thank you!